There are so many ways to re-purpose and reuse glass jars. I re-use it for leftover pasta sauce, make jam, and store homemade pickled vegetables. I also use empty jars to create decorations for the home, so it's not just for storing food. 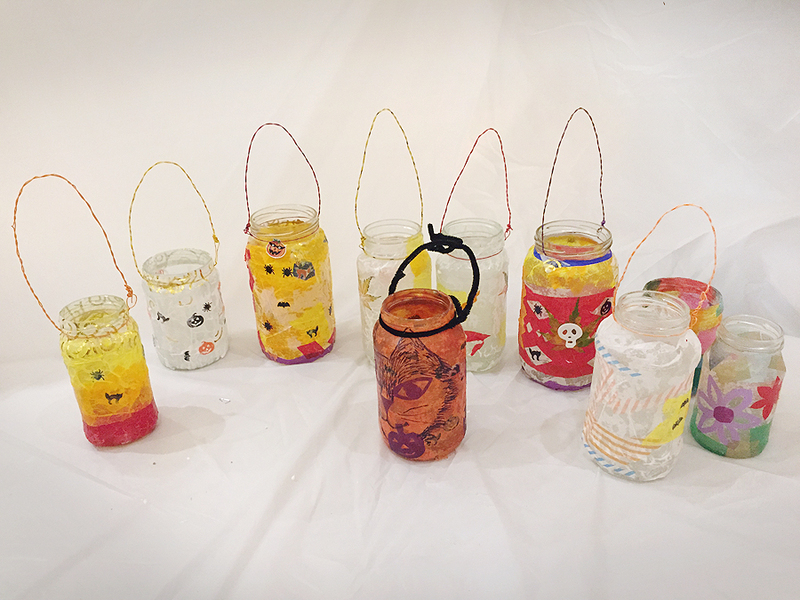 This week, I will be sharing how we made lanterns. 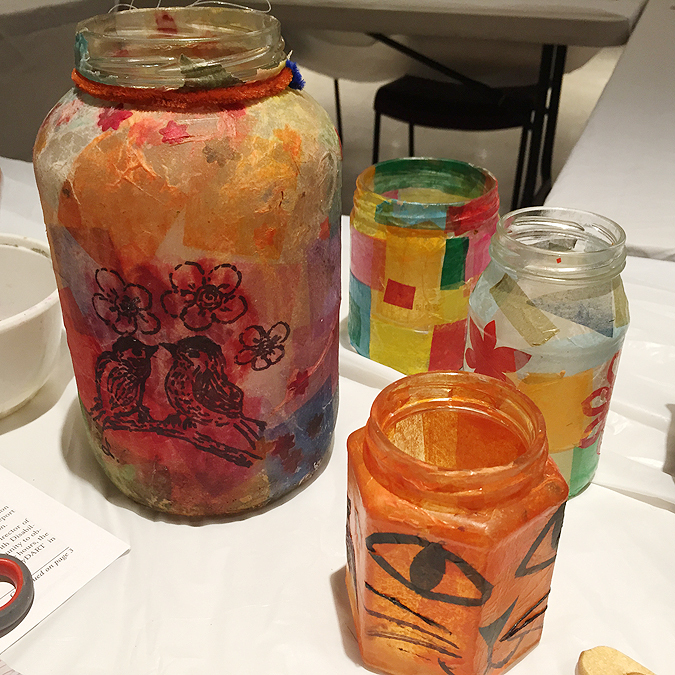 I attended a lantern making workshop (funded by the Vancouver Foundation Neighbourhood Small Grants) and was led by Yoko Tomita. 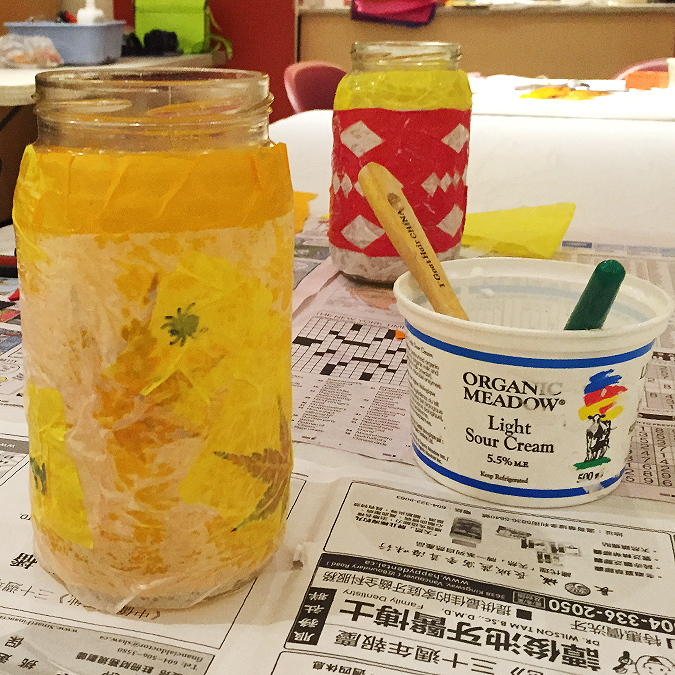 Yoko has been working as a community artist in East side Vancouver, making lanterns for the festivals. 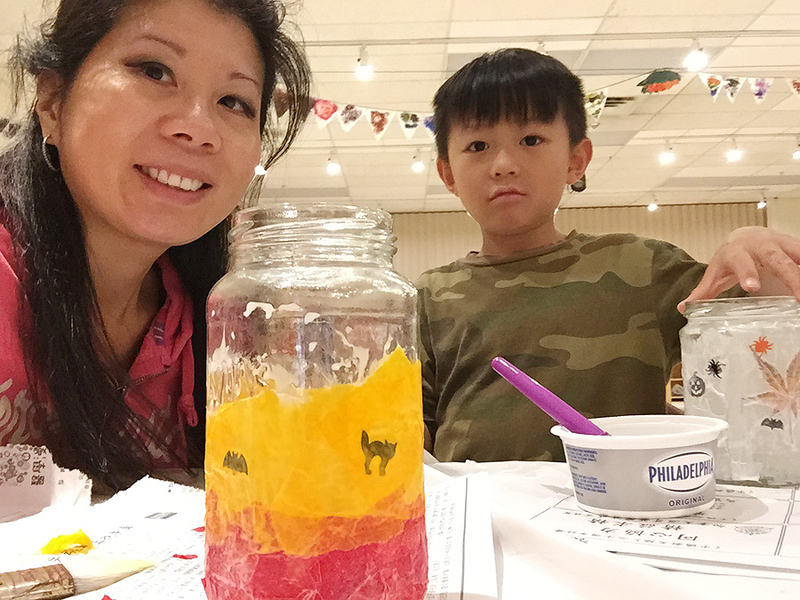 These lanterns are easy to make and anyone can make it at home. It is also fun for the children as it also teaches them how to create art using recycled materials. Hallowen is about 2 weeks away and it was the perfect time to make something Halloween themed, so I pasted cutouts of pumpkins, ghosts, blackcats, and bats. Also, we used colors that compliment the Fall season. It was a relaxing evening and getting creative. We love creating art! 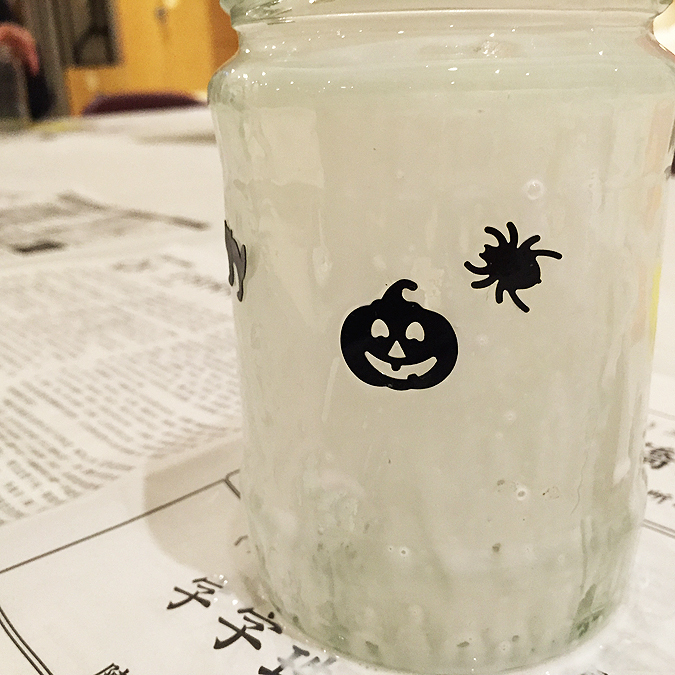 Mix some glue and water (1 to 1) and paint the glue mixture around the jar. 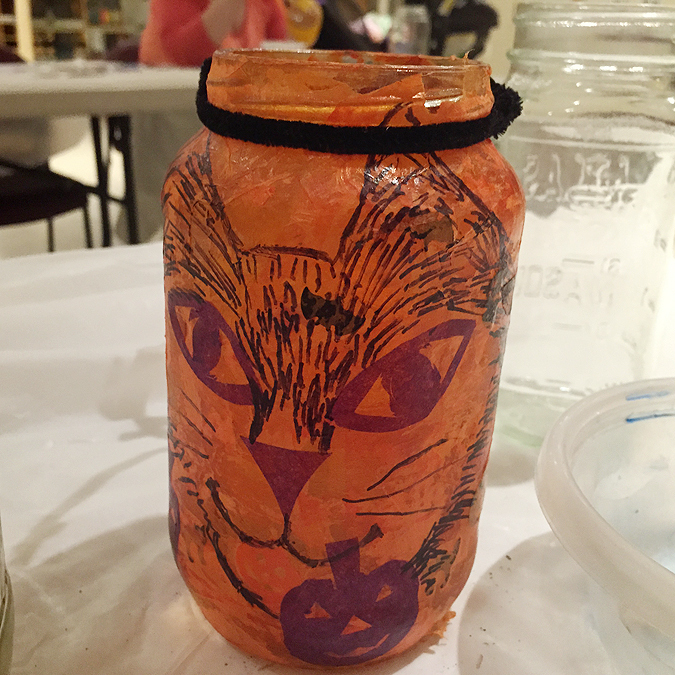 You can use cut out shapes, patterns, dried and flattened leaves, or other decoration to stick onto the jar. 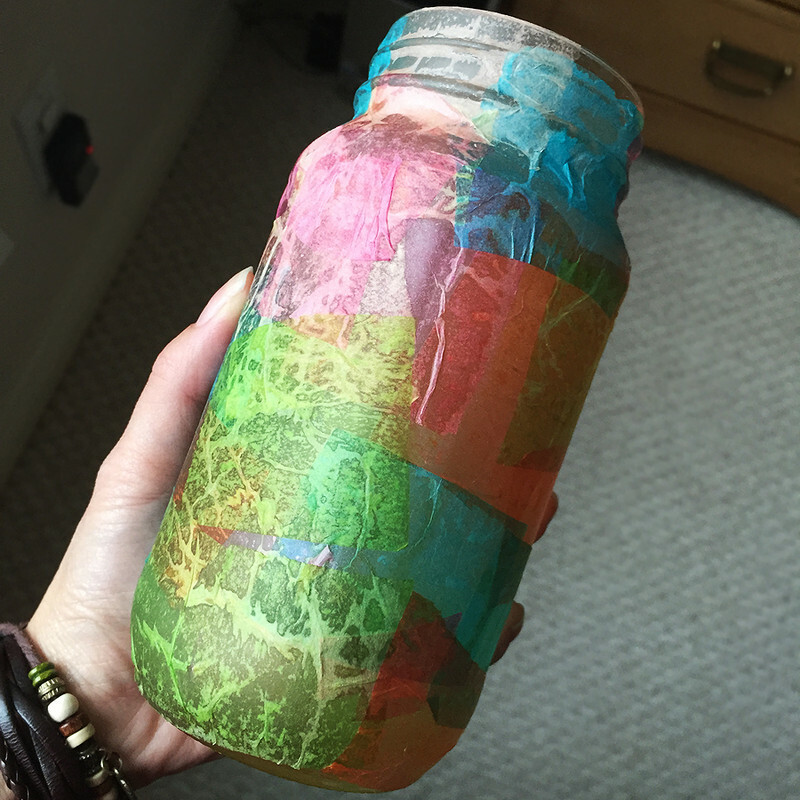 Then place some strips of colored tissue paper and paint the glue mixture over it, covering all part of the glass jar. Note: The darker the tissue paper, the less transparent it will be. Make sure not to put too many layers or the light show go through. 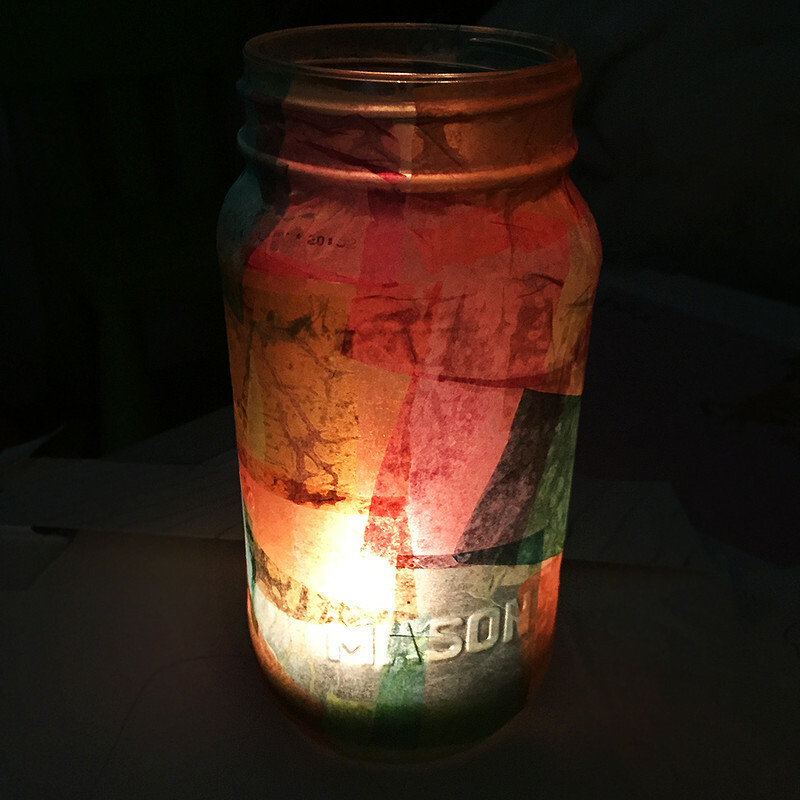 After the glue mixture is dried, just add a tea light candle inside the jar. MAKING THE LANTERN HANDLE: Cut a piece of wire long enough to wrap around the neck of the jar. Make an eye loop on one end of the wire and then twist the slack wire around the neck of the jar. When you finish twisting the wire around, use the excess wire as the handle by looping over into the eye loop. 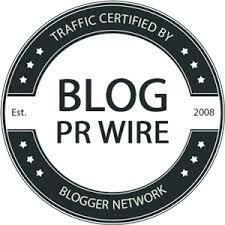 The wire should be completely tight around the jar.